Marrow stem cell regulation represents a complex and flexible system. It has been assumed that the system was intrinsically hierarchical in nature, but recent data has indicated that at the progenitor/stem cell level the system may represent a continuum with reversible alterations in phenotype occurring as the stem cells transit cell cycle. Short and long-term engraftment, in vivo and in vitro differentiation, gene expression, and progenitor numbers have all been found to vary reversibly with cell cycle. In essence, the stem cells appear to show variable potential, probably based on transcription factor access, as they proceed through cell cycle. Another critical component of the stem cell regulation is the microenvironment, so-called niches. 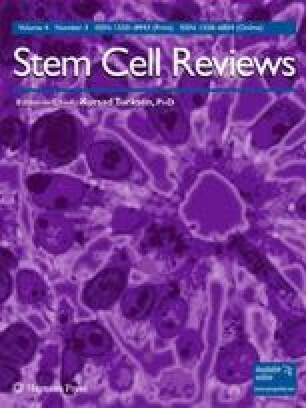 We propose that there are not just several unique niche cells, but a wide variety of niche cells which continually change phenotype to appropriately interact with the continuum of stem cell phenotypes. A third component of the regulatory system is microvesicle transfer of genetic information between cells. We have shown that marrow cells can express the genetic phenotype of pulmonary epithelial cells after microvesicle transfer from lung to marrow cells. Similar transfers of tissue specific mRNA occur between liver, brain, and heart to marrow cells. Thus, there would appear to be a continuous genetic modulation of cells through microvesicle transfer between cells. We propose that there is an interactive triangulated Venn diagram with continuously changing stem cells interacting with continuously changing areas of influence, both being modulated by transfer of genetic information by microvesicles. Grant funding has been provided by NCRR, NIDDK, and NHLBI, #P20RR018757, R01DK061858, R01HL073749 and #K08HL086868.